These baseball cards are geared toward big fans of present-day baseball. They showcase cards that represent the beginning of the eighties up to the current day. This collection is for the 2014 season. It doesn't cover baseball and baseball alone, as these cards delve into eighties entertainment overall. The set includes a total of 150 cards. Buyers can learn a lot about television, films, music, and even history. This collection also includes various historic signatures. Simply put, the Best Seller & Transaction completed on eBay! Fabulous Seller #1! Outstanding. Immediate response and shipped out immediately. I'm quite pleased. Fast shipping, great packaging, no issues at all. Always 10/10. I’ll be back. GREAT BOX with GREAT INSERTS! 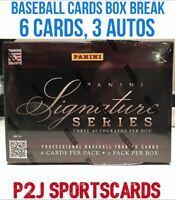 One On Card Certified Autograph per box (I pulled a Pete Rose!) & one relic card (pulled a Patsy Cline SSP used shirt). Also got a THICK sealed (100-point) box topper. I have no idea what's in it. I'm selling that one. I donate the rest to hospitalized children , but there are several picture variation cards in the base set & mini set. Plus other inserts. Well worth it at reduced price! Great product and a low end version of Goodwin. Too bad it was only 3 years that it was released. but a fun set to build with some nifty inserts and Auto's. 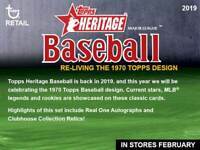 Who wouldn't want a Brady Bunch auto or some baseball greats ? Add in the 3 stooges, and tons of other pop culture individuals, and you cant loose at basically half price. The additional box topper is cool as well, from oversized cards, Triple Crown pennants or relics ( year depending , this set ran 2012,2013,2014). Cool but worthless other than the one auto that’s included. Great cards. Good collection with very few duplicates.